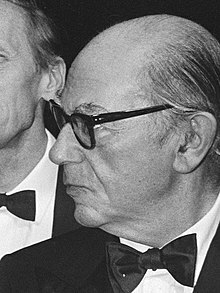 Sir Isaiah Berlin OM CBE FBA (1909–1997) adalah filsafat politik dan sejarawan ide, dianggap sebagai salah satu pemikir liberal pada abad ke-20. Ia lahir di Riga, Latvia. The Age of Enlightenment: The Eighteenth-Century Philosophers, New American Library, 1956. Out of print. Second edition (2017) available online only. +Concepts and Categories: Philosophical Essays, Hogarth Press, 1978. Pimlico. ISBN 978-0-7126-6552-0. 2nd ed., 2013, Princeton University Press. ISBN 978-0-691-15749-8. +Against the Current: Essays in the History of Ideas, Hogarth Press, 1979. Pimlico. ISBN 978-0-7126-6690-9. 2nd ed., 2013, Princeton University Press. +Personal Impressions, Hogarth Press, 1980. 2nd ed., Pimlico, 1998. ISBN 978-0-7126-6601-5. 3rd ed., 2014, Princeton University Press. ISBN 978-0-691-15770-2. +The Crooked Timber of Humanity: Chapters in the History of Ideas, John Murray, 1990. 2nd ed., Pimlico, 2013. ISBN 978-1-8459-5208-2. 2nd ed., 2013, Princeton University Press. ISBN 978-0-691-15593-7. +The Roots of Romanticism (recorded 1965), Chatto & Windus, 1999. Pimlico. ISBN 978-0-7126-6544-5. 2nd ed., 2013, Princeton University Press. ISBN 978-0-691-15620-0. +Three Critics of the Enlightenment: Vico, Hamann, Herder, Pimlico, 2000. 2nd ed., 2013. ISBN 978-1-8459-5213-6. 2nd ed., 2013, Princeton University Press. ISBN 978-0-691-15765-8. +The Power of Ideas, Chatto & Windus, 2000. Pimlico. ISBN 978-0-7126-6554-4. 2nd ed., 2013, Princeton University Press. ISBN 978-0-691-15760-3. +Freedom and Its Betrayal: Six Enemies of Human Liberty (recorded 1952), Chatto & Windus, 2002. Pimlico. ISBN 978-0-7126-6842-2. 2nd ed., 2014, Princeton University Press. ISBN 978-0-691-11499-6. The Soviet Mind: Russian Culture under Communism, Brookings Institution Press, 2004. ISBN 978-0-8157-2155-0. 2nd ed., Brookings Classics, 2016. ISBN 978-0-8157-2887-0. +Political Ideas in the Romantic Age: Their Rise and Influence on Modern Thought, Chatto & Windus, 2006. ISBN 0-7011-7909-0. Pimlico, ISBN 978-1-84413-926-2. 2nd ed., 2014, Princeton University Press. ISBN 978-0-691-12695-1. Affirming: Letters 1975–1997 (co-edited with Mark Pottle), Chatto & Windus, 2015. ISBN 978-1-784-74008-5. ^ Cherniss, Joshua; Hardy, Henry (25 May 2010). "Isaiah Berlin". Stanford Encyclopedia of Philosophy. Diakses tanggal 7 March 2012. ^ "The Age of Enlightenment" (PDF). 2017. Diakses tanggal 2017-08-29. Ignatieff, Michael (1998). Isaiah Berlin: A Life. New York: Metropolitan. ISBN 0-8050-6300-5. OCLC 42666274. Authorised biography. Laurence Brockliss and Ritchie Robertson (eds. ), ''Isaiah Berlin and the Enlightenment'', Oxford: Oxford University Press, 2016. Bendle, Mervyn F. (December 2009). "On liberty : Isaiah Berlin, John Stuart Mill and the ends of life". Quadrant. 53 (12): 36–43. Diakses tanggal 8 August 2011. Halaman ini terakhir diubah pada 5 Maret 2019, pukul 13.07.